LaShell's career began in 1996 as a sophomore at Edgewood College and grew into full time employment as a Financial Advisor when she completed her Bachelors of Science Degree in 1999. 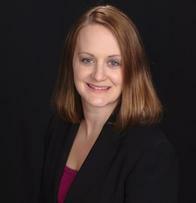 My Experience: LaShell Lentz, CFP®, joined Morgan Stanley in 2013 as a Financial Advisor and Vice President. LaShell has more than 21 years of experience developing comprehensive retirement and income planning strategies for affluent individuals and families. As a CERTIFIED FINANCIAL PLANNER™, LaShell has coached many clients through the sometimes overwhelming and difficult transition into retirement. My Community Involvement: LaShell joined The Salvation Army of Dane County Advisory Board in 2015. She serves as Chair on The Salvation Army's Community Relations and Development Committee, Co-Chair of The Red Kettle Reception, and serves on the Strategic Planning team. Since 2010, LaShell has worked on the finance committee for the Girl Scouts of Wisconsin—Badgerland Council. In the fall of 2018 LaShell became a Troop Co-Leader for her daughter's Daisy Girl Scout Troop. My Personal Life: LaShell and her husband Jason live in rural Dane county and are the proud parents of daughters Avery & Kylie. 2012 Recipient of the Girl Scouts Thanks Badge--This award is given only once in a lifetime to recognize exceptional service that benefits the total council or the entire Girl Scout movement. 2009 - 2013: BMO Harris Financial Advisors, Inc.
1996 - 2009: UBS Financial Services, Inc.
May 2, 2019 5:30-7:30 p.m.